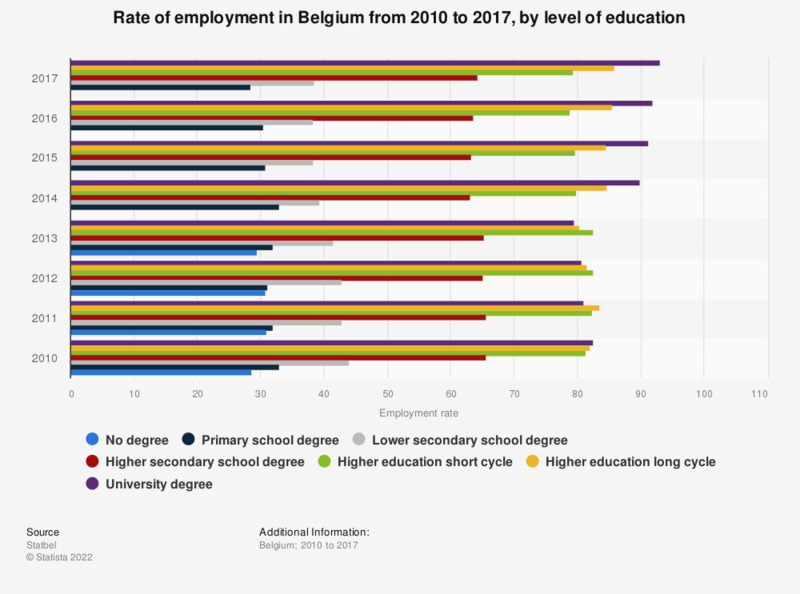 This statistic shows the employment rate in Belgium from 2010 to 2017, by level of education. In 2017, the employment rate for people with a university degree was 93.1 percent. Statistics Belgium defines employment rate as the percentage of working people.